There has been a lot of buzz around Proposition 39 lately, and with good cause. This proposition promises to shut down a loophole in California that allows companies to evade at total of one billion dollars tax annually. What’s more, it promotes out of state rather than local labor. Whether or not you agree that this is a good idea you can see why many would. 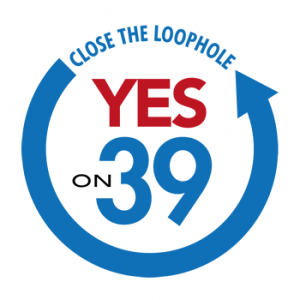 But does Proposition 39 really close the loophole? As any California business roundtable on Proposition 39 would tell you, yes it does. To an extent. As Proposition 39 proposes that all taxes be based off of sales and not a formula based on one’s assets in state, there is a risk that companies will consider sales in California no longer worth investing in if the tax is too high, and focus on other states. But considering California is such a huge commercial state this is unlikely. Aside from those who are directly impacted by the tax, who due to the nature of large corporations are in the minority, the majority of California agrees that closing the loophole will greatly improve the state’s state of living. But not all of them approve of Proposition 39. The problem with Proposition 39 is that it states that half of the money gathered from the closed loophole will be invested into clean energy. Assuming the estimated numbers are correct that’s 500 million dollars a year. No-one can deny that green energy is worth our attention, but many accuse the people in charge of the proposition of ‘ballot-box budgeting‘. It’s justifiable to believe the Proposition should be changed as many do. After all clean energy isn’t the only area in need of attention. There are also schools, infrastructure projects and many other things that though they will get attention from the other half of the income from the closing of the loophole, they will not get the attention some people believe that deserve. On the other hand investing in green energy is a noble cause and would also increase the number of jobs in the sector and California in general. Considering the support closing this loophole has it is bound to happen eventually. The general pulse of the nation right now is against subsidies for corporations.